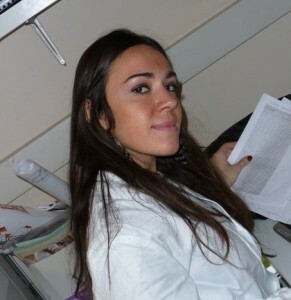 BHD Researcher Interview: Dr Laura Pradella is a post-doctoral researcher under the supervision of Professor Giuseppe Gasparre at the University of Bologna. Dr Pradella completed a PhD studying PTEN, the disease-causing gene in Cowden’s syndrome, a rare inherited cancer syndrome characterised by tumour-like growths on the skin. Dr Pradella is currently continuing this work, as well as investigating the role of FLCN in the development of oncocytic tumours. I found out that BHD Syndrome was similar to a genetic disorder I worked on, namely Cowden Syndrome, caused by mutations in the PTEN tumour suppressor gene. Among other features, both syndromes are characterised by the development of oncocytic tumours. The research group I belong to mainly studies biological and biochemical aspects of sporadic oncocytomas associated to mitochondrial DNA mutations. I became particularly interested in the elucidation of the molecular changes underlying syndromic oncocytomas and in better understanding the role of FLCN and PTEN in mitochondrial biogenesis and oncocytic transformation. I am studying the implications of FLCN and PTEN in the pathogenesis of sporadic oncocytomas. Furthermore I am working on the role of FLCN and PTEN on mitochondrial biogenesis in a cellular model of oncocytoma. At the same time, we are developing a Drosophila model that combines PTEN and FLCN double heterozygosity, to then observe tumour development. It would be very useful to develop FLCN specific antibodies to be used in immunohistochemistry and immunocytochemistry. The implications of FLCN in the regulation of mitochondrial biogenesis, as recently brought up at the last BHD symposium. Yes, it is that by Klomp J.A. et al., in BMC Medical Genomics 2010. It shows first how BHD kidney tumours differ from other neoplasia and demonstrate first that they are characterised by mitochondrial genes up-regulation. To better elucidate the role of FLCN in mitochondrial biogenesis and oncocytomas, to understand the differences among syndromic and sporadic oncocytic tumours and to clarify if PTEN and FLCN may act in a common pathway leading to the regulation of mitochondrial biogenesis. The development of a fly model is a long term goal. My prediction is that we will have soon the complete structure of FLCN and that we will completely understand its functions and its interactions, along with its influence on cell survival pathways regulated by mTOR and AMPK. These findings will allow the understanding of cancer pathogenesis in BHD patients and eventually help to start clinical trials. Favourite book: “The Green mile”. Favourite film: Awakenings. Favourite music: U2, Coldplay, Adele. A veterinarian or a biologist. I discovered as a little girl my passion for science. I see myself in a laboratory, no matter where, working on BHD, CS and their mitochondrial aspects. Yes, Prof. Rita Levi Montalcini. BHD Personal Story: Brenda is from the USA and was diagnosed with BHD in 2010. October 2010 – after a full year of testing and seeing approximately 5 different physicians – some even thought I was a hypochondriac. National Jewish Health tested me for BHD after a week of testing at their facility in Denver, CO.
Shortness of breath, pressure & burning in chest. I have had to adjust my lifestyle. We built a one-story home so I would have minimal steps to climb. I perform tasks more slowly due to getting out of breath so easily. Yes, I have. My mother was with me when I met with a genetics counselor in Colorado. They have been understanding & very helpful in this time of adjustment. The internet & your website. This is so often underdiagnosed. Exhaust every option & insist on a genetic blood test to confirm or deny a diagnosis. I have been upfront with my children since the beginning of my diagnosis. They will be tested when they are older. Shortness of breath & heaviness in chest. Mainly maintenance right now – regularly scheduled CT scans of my lungs & kidneys. Whenever I get a cold, I have to have antibiotics & steroids. Through my year of testing & meeting several doctors, I was fortunate to have found a Pulmonologist that has been instrumental in my diagnosis. Dr. Ramesh Kaul sent me to National Jewish Health in Denver, CO, where I was finally tested for BHD. Most healthcare physicians have not even heard of BHD. No – thankfully we have good insurance that has paid for all of my various tests. Good health maintenance is my main focus. I have a Pulmonologist & a Urologist who monitor my lungs & kidneys. Find a doctor you trust for your healthcare. Learn all you can to be aware of any significant changes in your health.